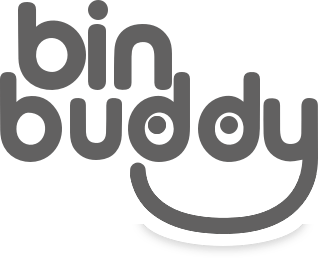 Great reviews from real mums for Nappy Bin Buddy! “Looked neat and compact little pot. The design is very good, its cheerful design and the instructions are clear, and love the choice of pouring options on the top. It’s amazing, our nappy bin no longer smells, such a good idea. Instructions very clear and easy to understand and read. This is so easy to use. It’s very effective and neutralizing even the worst smelling dirty nappy. The aroma is very pleasant; it’s not overpowering which is great. We used this every time we empty the nappy bin, which is a few times a week. We also used this around the area where our rabbit is, and also in the kitchen, bathroom and bedroom bins. Amazing quality, the pot is strong so if accidently dropped doesn’t break and the lid design is a twist so no accidental spills. This is great value for money, a little bit makes such a difference, will last a while. I loved the design of the pot and the fragrance, such a lovely smell. I would buy more. I would recommend because of the aroma, how good it is at removing nasty nappy bin smells and its small enough to store easily and discreetly. Such an amazing product, as I mentioned above, so many uses not just the nappy bin odours that can be erased, our kitchen and other bins smell nicer too.Great little product, I like it so much that I have recommended it to my Manager of the Nursery where I work and she will be purchasing some for the bins at work for all 3 Nursery’s In the chain. “My initial impression was it’s a small, compact container & clear what it was for. Interesting design on the container.The design of the container is simple and effective, the graphics are eye catching. It’s easy to use too. Brilliant concept to stop the smells creeping in before the bin is full. We have always put a bin liner in our nappy bin but I was unsure at first whether the product needed to go inside the bin liner or in the actual bin outside the liner. I used the product inside the liner, but still wasn’t 100% sure from the wording of the instructions if this was right! Extremely easy to use. Even though the canister in the bin is scented this product was more effective at neutralising odours. The aroma was fresh and pleasant. We empty our bin every 5-6 days so one application of the product was enough in between.I only used the product for its intended purpose. Very effective at neutralising nappy pongs so great quality.I think this product is worth every penny. Plenty left after using for a month. The thing I liked the most about this product was the scent and the fact it kept those nappy odours at bay.I would buy this as its cheap, effective and smells nice. I would recommend this as it does exactly what it claims, is effective and doesn’t cost the earth! Great product that’s cheap, effective & pleasant smelling. With a toddler and baby we have plenty of dirty nappies being produced and this prevented any nasty niff’s between bin empties.Although the instructions were a little unclear (although it could be my sleep deprived brain failing me) the product is very easy to use and does what it claims to. The scent is pleasant but not overpowering and very good at preventing odours escaping the nappy bin. “Good packaging and good sized item. Good Size container well packaged. Very good idea to get rid of odours. Instructions very easy to follow. This is very easy to use. This was effective and got rid of the odours. I liked the aroma as not too strong. I used this once a week. I also used this in the kitchen bin and outside bins.Great quality and a very good idea. Good price for item. This is such a good idea for neutralising odours. I would buy this as great for all bins. I would recommend for the same reason. A good item and good value for money. Used on all my bins and neutralised odours very well.